The Trickfish team has put all of our experience and skill into making the Bullhead 1K a truly musical piece of equipment. The design goals were modest: build a pre-amp that had the lowest noise floor possible so when we record it’s nice and quiet, employ powerful EQ’s so we can shape the sound in the most musical way possible and utilize a stout, no-nonsense power amp that delivers when you’re digging in and pouring on the heat. We kept it simple and clean so that it would be easy to operate on stage – big knobs that are easy to grab and full size switches to minimize fumbling. We spent the money on very high quality components and deliberately skipped many of the on-board effects and signal processing features found on a lot of amps because to add them would raise the overall price. As players ourselves if we want compression we’ll go buy a really good compressor; if we want an octaver or analog filter, we’ll go buy the real deal. It’s actually pretty simple – great tone in a lightweight, durable package that’s at home on any stage or in any studio. When you have a chance to get familiar with this head we hope you’ll agree that we’ve met our goals and built something pretty unique. A common misconception is that this is just a jack where you plug the bass in and turn a volume knob – it is, but it’s really much more. This is the first block in building what is commonly called “Gain Structure”. The signal (your instrument) plugs into the jack and depending on where you adjust the input sensitivity - in the case of our amps it’s labeled HI/LOW but you may also see Active/Passive or something to that effect, you are setting the first block of gain in the amplifier. The Bullhead input is designed to accept a wide range of sources from passive to active instruments as well as from an acoustic bass pickup. This input is AC coupled to prevent unknown sources from damaging the input circuitry with DC or spikes. The rest of the circuit is DC coupled all the way to the output. The input section sets the gain level into the EQ. If you under-power the signal into the EQ section you just won’t have enough voltage to get the EQ to work to its fullest potential and you’ll add noise. Over-power the input to the EQ section and you’ll have distortion. When you add EQ you also increase the Gain. On the Bullhead we’ve included a multi-segment LED ladder that shows you just how much gain created after you’ve adjusted the input attenuator, Gain knob and EQ. A little of the red indicator won't create problems - just illuminate them at the peaks or loudest points when you set up the gain structure. Before we dissect the EQ circuit it should be noted that there are a couple schools of thought on running the EQ section of any audio device but for simplicity sake, let’s discuss bass amps. Some suggest that you should first set the instrument tone controls where you like them then adjust the EQ to suit the cabinet and room characteristics. Others suggest that you leave the bass in a flat position (this presumes you have an active EQ on the bass) and dial in the amplifier EQ first. It should be noted that as you add volume (by turning up the master) you are changing the perceived tonality of the system. You’ll hear more low frequency at higher volumes (research Fletcher and Munson curves) so when you’re setting up your amp you should try to approximate the volume levels at which you’ll be playing – a good time to do this is at the sound check. When you add EQ you are also adding gain (the reverse is true as well – cut EQ and you’re reducing gain). Think about this when judging the Gain Structure of the amp. The amplifier is probably cleaner than your on-board preamp and we've had the best success setting the bass controls flat, dialling in an approximate tone and then tweaking the bass to hone in on the the sound that best suits you. On most bass amplifiers and on the Bullhead 1K the bass filter is a shelving type of EQ. In the 12:00 position there is no cut or boost on the Bullhead so essentially you’re just passing a signal through. 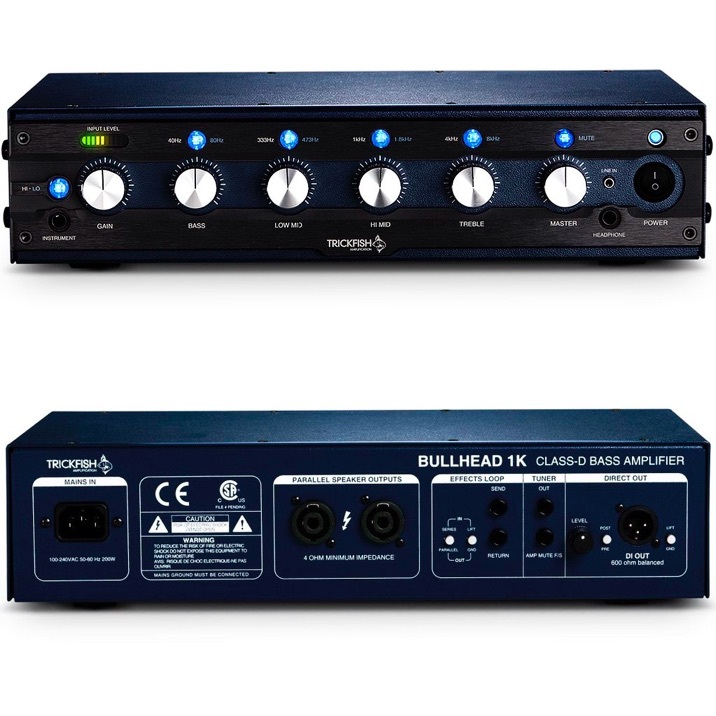 The Bullhead offers two “hi-pass frequencies” meaning that when you add or subtract bass you are affecting a range frequencies above that frequency. On the Bullhead those frequencies are 40Hz and 80 Hz – very musical frequencies as the low E string fundamental frequency is 41.2 Hz. By selecting the 40Hz setting you’re essentially adding deep bass and by selecting the 80Hz frequency you are affecting a warmer, punchier bass. This filter could be characterised as a Variable Gain, Band-Pass filter. As with all of the EQ controls when you have the knob in the 12:00 position you are simply passing a signal through the circuit and leaving the signal unaffected. The Low-Mid control has a fixed width depending on the frequency point you select – either 333Hz (narrow) or 473 Hz (wider). These frequencies were selected for their particular sonic characteristics and are very “Bass Instrument” specific. If you’ve owned P-basses or J-Basses you know that there are mid-range frequencies that make them ridiculously musical or just difficult to listen to and when you experiment with cutting or boosting this filter you’ll truly appreciate the control. Just like the Low-Mid control this is a Variable Gain, Band-Pass filter and as with all of the EQ controls, when you have the knob in the 12:00 position you are simply passing a signal through the circuit and leaving the signal unaffected. The Hi-Mid control has a fixed width depending on the frequency point you select – either 1kHz (narrow) or 1.8kHz (wider). These frequencies were selected for their particular sonic characteristics and again, are very “Bass Instrument” specific. More often than not you’ll be cutting these frequencies to soften up the sound or, if you slap and pop, scoop out the nasty bits. Cutting helps to eliminate string noise without losing mid-range punch. Like the bass control, the treble control is a shelving type EQ and covers a wide swath of frequencies and like the bass control, in the 12:00 position there is no cut or boost on the Bullhead so essentially you’re just passing a signal through. The Bullhead offers two “hi-pass frequencies”, 4kHz and 8kHz, and when you add or subtract treble you are affecting a range of frequencies above the selected frequency. Most bass amp treble filters land in the 4kHz range and is most likely a default position amplifier designer’s chose when most basses were passive. With the advent of full-range bass instrument speaker cabinets and sophisticated on-board active EQ circuits, basses now can reproduce very high frequencies. For an airy, glassy high-end select the 8kHz setting. Want a bit more edge then you should select the 4kHz setting. The Master Volume is essentially the volume control for the power amplifier – which is the engine of the head. When you turn up the Master you are simply sending a signal to the input of the power amplifier and telling the amplifier to do its job, make things louder! The output of the amp sends the signal to the speaker outputs. On the Bullhead 1K we feature a “mute switch” that interrupts the signal to the power amp so that you can tune silently when your tuner is plugged into the corresponding jack in the back. 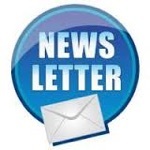 •Line In for MP3 players, drum machines – any audio source. •Selectable Series/Parallel EFX loop: Interrupt the signal path to insert signal processing like a compressor or limiter or run effects like reverb alongside the pure signal. •Balanced Direct Output: Very low-noise, balanced output for routing the signal to a live console, recording console of computer interface. Weight: Net 6.2 lbs/3kg. Gross 9 lbs. The Bullhead.5K bass amplifier sets a new performance standard in affordable bass amplification. Featuring the acclaimed Mike Pope low noise pre-amp integrated with a tour proven, 500W @ 8Ohm/ 700W @ 4Ohm Class D power amplifier, the BH.5K offers all of the professional features and performance expected of a Trickfish product.. Housed in a robust aluminium chassis, the powerful head offers a wide variety of tone-shaping capabilities via a 4-band EQ and 8 frequency select options. 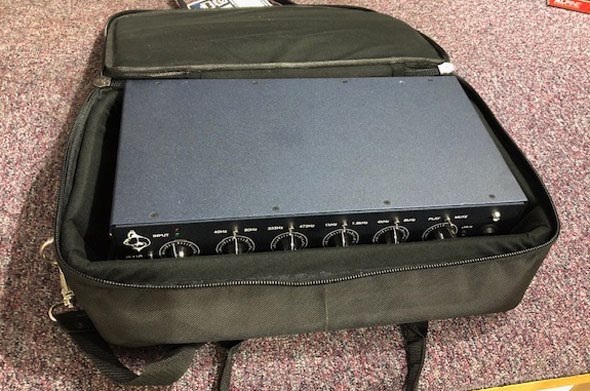 Other features include selectable input sensitivity, aux input, Pre/Post Balanced DI Output, EFX: Series loop, amp mute and a Neutrik Speakon combi-connector. Weighing in at a paltry 5lbs the BH.5K also sports classic “chickenhead knobs” for easy, fast adjustments and the rack-mountable chassis is powder coated in a durable, Deep Sea Blue matte finish. Weight: Net 5.0 lbs/2.3kg. Gross 7.6 lbs. Has a few chances to run the Trickfish in anger since you recommended the 1k version for its headroom. Its immense mate, totally superb. Fits into my 7 piece with so much less effort than the old head, which needed a tonne of eq and clever compression to give the impression of really getting under the band and driving from the bottom. In contrast I've been running just the Trickfish with a tiny boost at 80Hz to fatten up, well everything, a smidge. Amazing tone! So, thanks for getting it in, letting me sit and ponder for so long and so loudly, and for the insight as to why it really was the right way to go with my cab. As ever, brilliant service from a great emporium of bassy goodness. I have a feeling I will be evangelising about this one for a good long while!